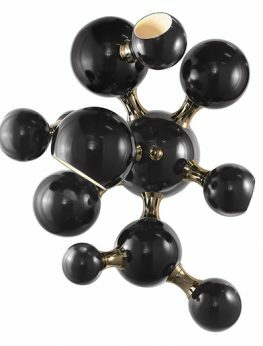 Experience the molecular design, a new trendy sensation rooted from the atomic age design. 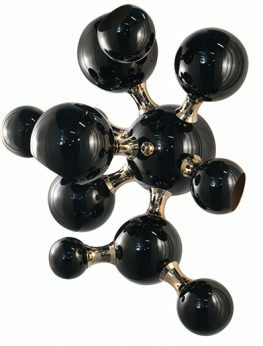 A set of round shades, aligned by an asymmetric composition enhances this non-conventional molecular form. Each shade evokes an amazing light effect on the walls. 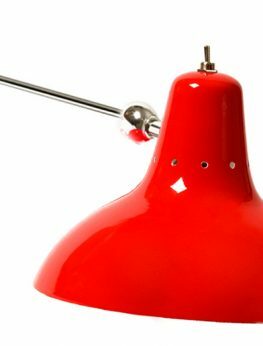 Conceived for modern settings, this lamp ideal to be placed in a modern living room to surprise your guests, as well as in a modern lobby. A breathtaking design inspired in 50’s legacy. 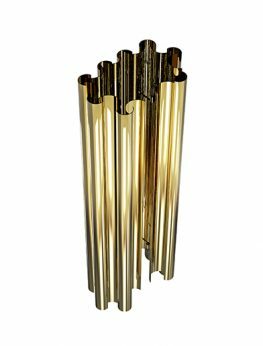 This made out of brass wall ﬁxture of nickel plating is a ﬁne decorative piece with a great visual effect. Available with one or two diffusers. 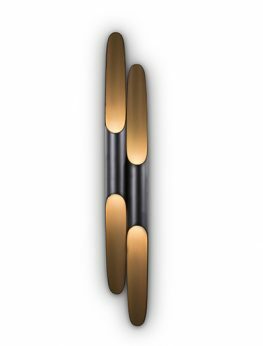 Taking powerful expression and innovative character of John Coltrane’s music, our designers have created a monumental design that will withstand time. 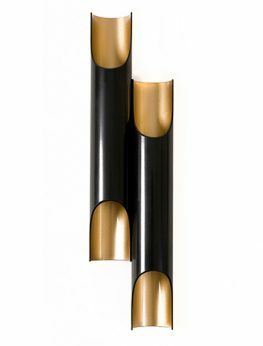 With 1, 2 or 3 iron tubes, this table lamp stands out with a unique and contemporary visual effect. A vintage piece of art, functional and well structured, Diana is ideal to enjoy with your favorite book in the living room or bedroom due to its versatility. 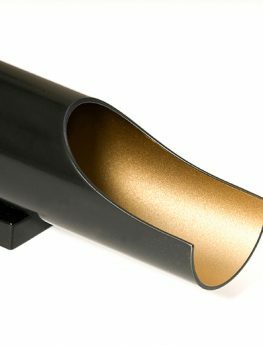 The colored diffuser gives it an industrial, iconic look. 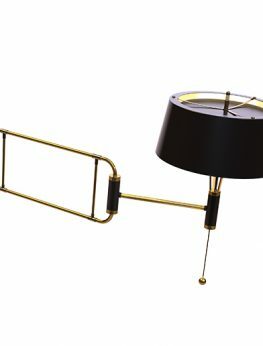 This vintage light’s structure is handmade in brass and the lampshade is in aluminum with the switch on top. 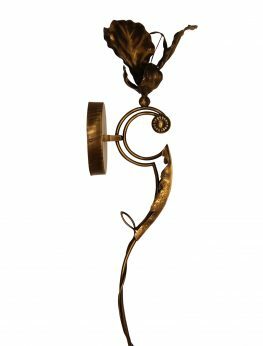 This unusual sconce features an unconventional and tantalizing design. 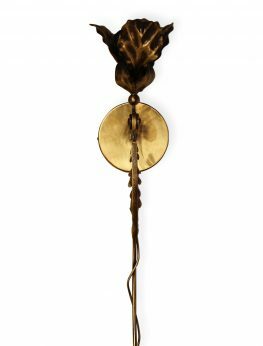 Aged brass intricately sculpted fixture makes it a special piece, full of charisma and character. Galliano is an expressive design inspired by jazz music. 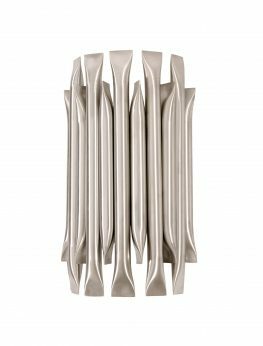 It is a versatile and contemporary, sculptural shape of an extremely balanced design, which gets even more beautiful when you see the light being casted thorough its pipes. 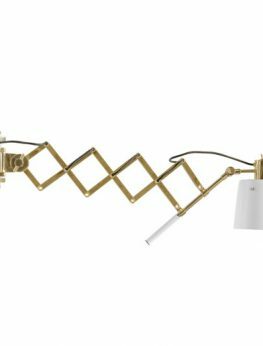 Up to 3 tubes, it produces a unique and gorgeous lighting effect. The LIBERTY Chandelier is a masterpiece inspired by one of the most famous statues in the world, The Statue of Liberty. This elegant design can truly enlighten your interior and remain in the memory of your guests forever. It is hand made by master craftsmen out of brass and crystal glass. 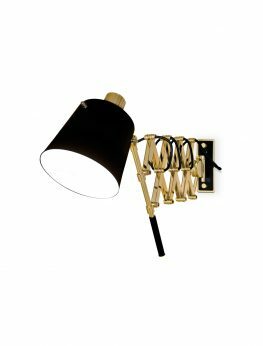 If a classic style with a modern touch is the key to your next project, pick up the beautiful Matheny wall light. 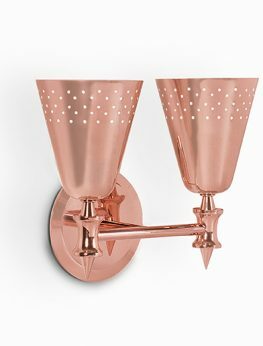 It can be easily placed in any setting, from a shabby chic lobby to a modern hall of a contemporary hotel. 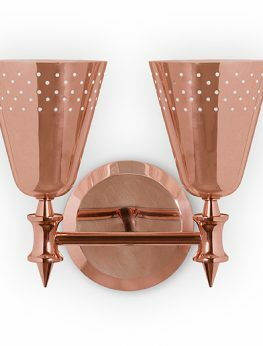 you can go You can choose from a variety of finishes such as trendy chrome, or aged brass, for a vintage look. 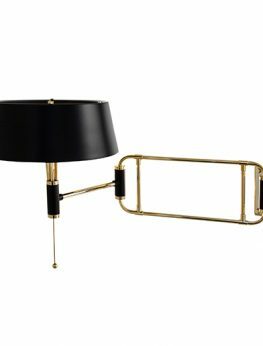 “Music and life are all about style” … Miles table lamp brings back the atmosphere and sophistication inspired by the 50s. With a range of beautiful finishes, the lamp casts a smooth light that will surely lift that “Kind of Blue” mood, while allowing you to enjoy the composition itself. 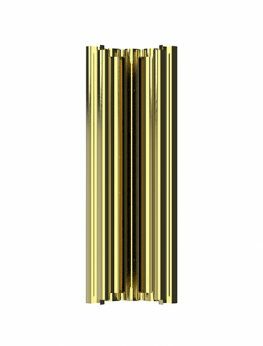 Be seduced by the golden wall lamp Parker… Its sophisticated golden brass tubes will light up the finest restaurants, lobbies & contemporary settings. 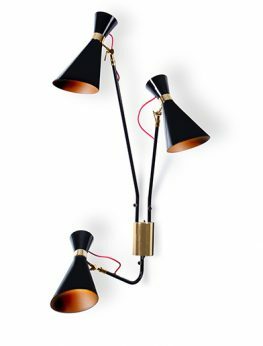 Enjoy the beautiful musical concept transformed by Delightfull into this incredible, modern sconce. 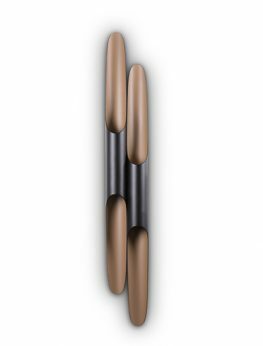 Pastorius wall sconce revives the 70’s design and aesthetics. 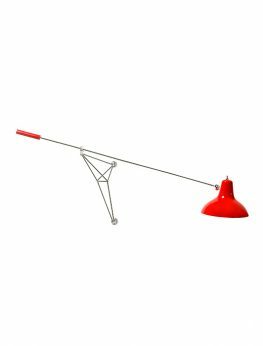 The result is a sophisticated and highly functional, vintage piece with an extendable arm that can be adjusted into different positions. 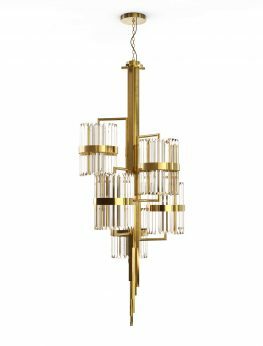 Its structure is made in brass and the lampshade in aluminum. 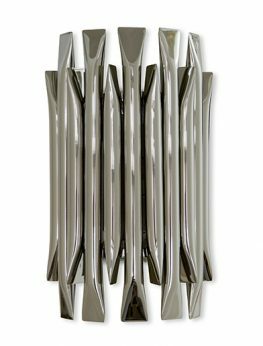 Delightfull took a design classic and reinterpreted it into a fresh wall ﬁxture with a strong attention to detail. 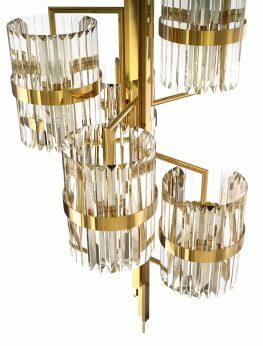 With big lampshades, asymmetric structure, visible textile wire, and the nickel plated details, this magical piece will truly put a spell on you. Its structure is handmade in brass and the lampshades in aluminum. All dimensions are customizable.